A solo exhibit of my photographs, "Transitional landscapes and other mysteries," opened today at Remedy Salon and Gallery, 1195 65th Street, Emerville, CA, phone 510-547-5000. 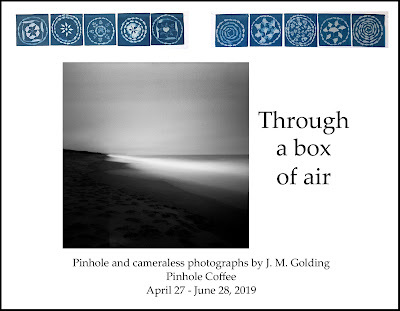 The exhibit includes 7 photographs from my "Transitional landscapes" series, 3 from my series, "The surface of consciousness," and 5 more of my favorite black and white analogue photographs. It is scheduled to run through the end of August. If you're in the area, I hope you'll stop by and visit! Thanks so much, Jesús! I wish you could be here too.